The tanker Hebei Spirit was holed while at anchor in South Korean, by a wayward crane barge in strong winds. The accident resulted in the tanker spilling crude oil, a third the size of the Exxon Valdez, which contaminated the Korean coastline. The two senior deck officers on the VLCC at the time, Capt and Chief Mate, remain in Korea unable to go free, despite several inquiries clearing them of any wrongdoing. It seems the Korean government is determined (or coerced – as some believe) to pin the blame of the incident on them, the nearest milestone in this case is December 10th when the results of the latest appeal will be released. Most seafarers should be aware of this incident by now, and the continued escalation of seafarer criminalization incidents across the globe. I recently came across a blog which gives further details on the incident, and even a video of the incident. I encourage you to visit the site, learn more, and support their cause, as I feel they are being unjustly treated. Below is an article that sums up the current situation. The Hebei Spirit blog is here. Another story from Lloyds List is here. 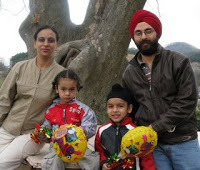 Capt Chawla and his family are pictured right. INDIAN seafarer unions are stepping up pressure on South Korea over the ‘Hebei Two’, the master and chief officer of the very large crude carrier Hebei Spirit, with a proposed boycott of South Korean companies and products. The National Union of Seafarers of India and the Maritime Union of India said they were seeking feedback on the proposed boycott by today. Capt Chalwa and Mr Chetan were initially cleared last June of all charges related to the Hebei Spirit, which was holed in a collision with a drifting crane barge operated by Samsung Heavy Industries during severe weather in December. The barge broke free from one its its two tows and smashed into the anchored tanker holing tanks on the port side, which led to more than 10,500 tonnes of oil spilling into the sea. But the two men, who have been refused permission to leave South Korea, faced a retrial over the past two months after prosecutors appealed against their acquittal. Seoul’s high court will give its verdict on the retrial on December 10. Outlining details of the boycott, the unions suggested India’s 200,000 seafarers, shipowners, crewing agents, ship crewing staff, ship chandlers, maritime administration and general public should stop buying all types of Samsung products. The unions also planned to contact “celebrities who are endorsing Samsung products to provide their support to this cause”. 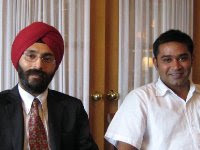 They said it had been alleged that Samsung had tried to influence the case and implicate Capt Chawla and Mr Chetan “in some manner or another to find a scapegoat”. They added the two men could be jailed for three years “as demanded by the prosecution”. The call for the boycott coincided with the launch of a new Hebei Spirit blog calling for fair treatment for the two men. Posts on the blog said a report by the Incheon Maritime Safety Tribunal, produced at the retrial, was not meant to apportion blame but to report on the cause of the collision and suggest preventive measures. “Despite this, 70% of the report seems to be focused on finding fault with actions of the crew of the Hebei Spirit, which had been anchored since the previous evening,” one blog said. It added that the report glossed over other questions, including why the masters of the tugs towing the crane barge passed “so dangerously close across the bows of the anchored Hebei Spirit”. V.Ships, which managed the Hebei Spirit and the vessel owner, denied direct involvement in the blog (http://justiceforhebeispirit.blogspot.com) but agreed with the accuracy of the contents. There is a complete range of parts that the ship chandlers can supply with. The most interesting part of these businesses is the ease with which they can be approached. The Internet has made it, especially easy to access these services.